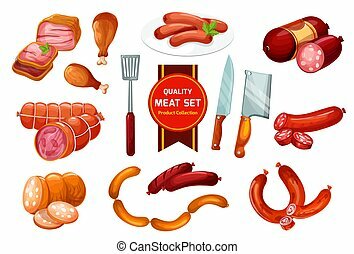 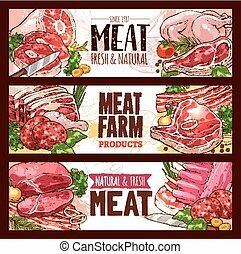 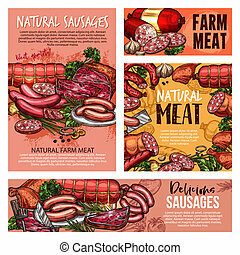 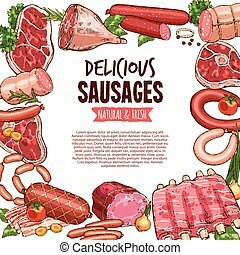 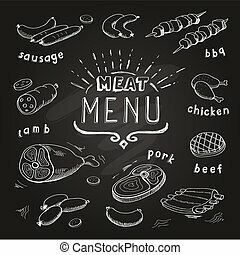 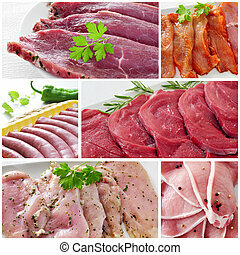 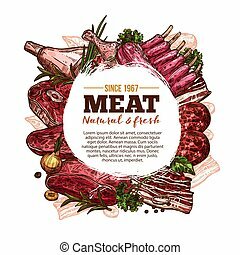 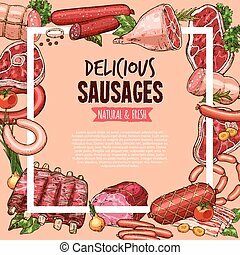 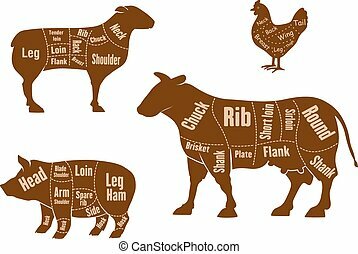 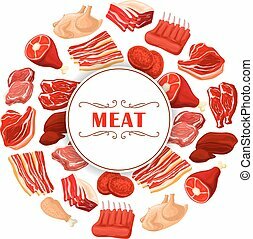 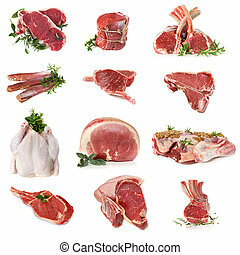 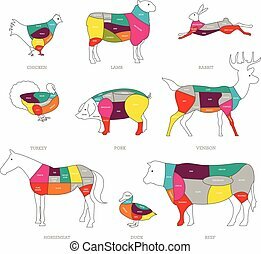 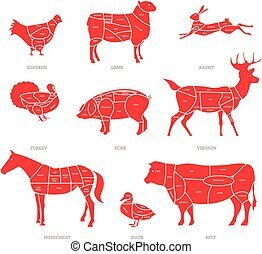 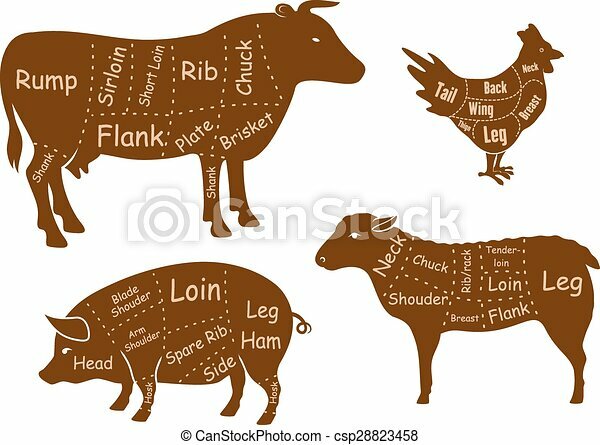 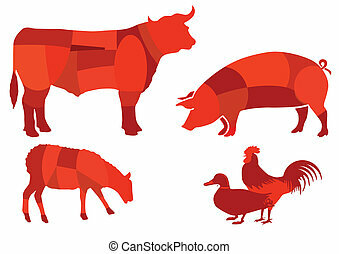 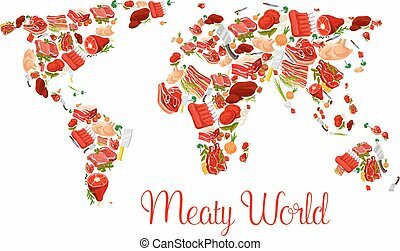 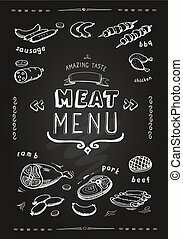 Beef, pork, chicken and lamb meat cuts diagram with brown silhouettes of farm animals with marked parts and cutting lines isolated on white background, for butcher shop or food design. 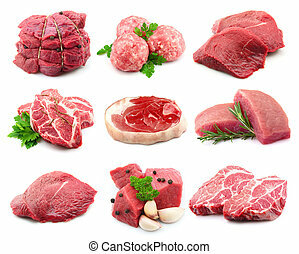 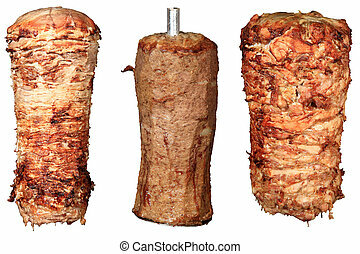 Cuts of raw meat, isolated on white. 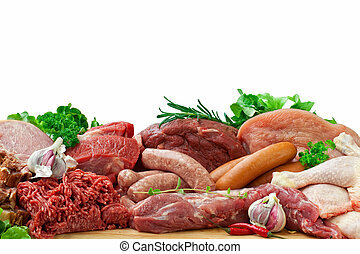 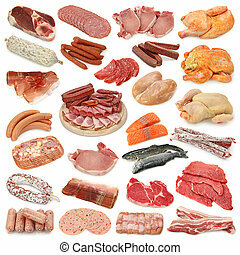 Includes beef, lamb, pork and chicken. 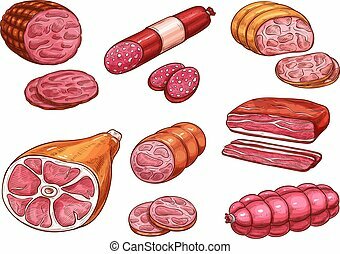 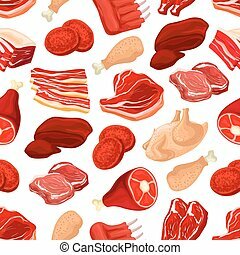 Raw meat set vector drawing. 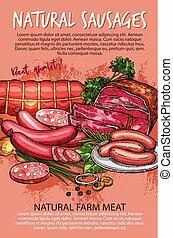 Hand drawn beef steak, pork ham, lamb rib, minced chicken forcemeat. 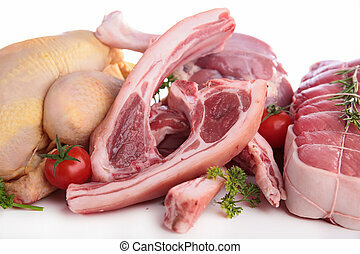 Raw food ingredient. 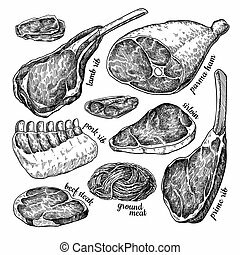 Vintage sketch. 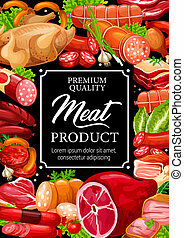 Butcher shop product. 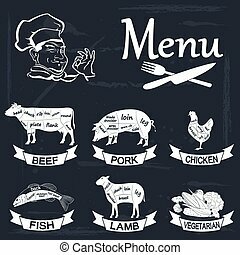 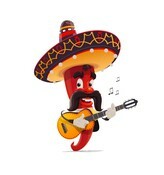 Great for label, restaurant menu.